A cream-to-powder highlighter that illuminates the cheeks, eyes and brow bone. 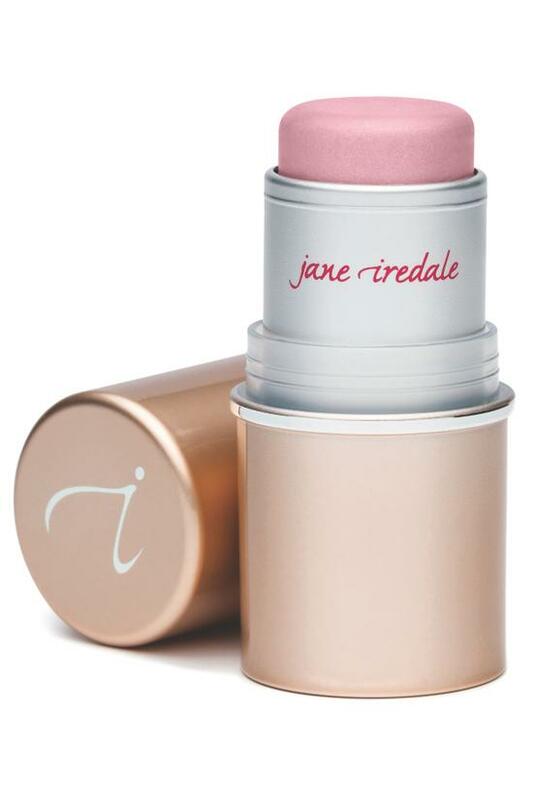 A pale pink highlighter that gives skin a natural-looking radiance. May be applied to highlight desired areas of the face such as the tops of cheekbones, brow bones and the bridge of the nose. Creamy, lightweight formula adds a soft glow to any look. 0.14 oz. Ethyl Macadamiate, Isostearyl Neopentanoate, Euphorbia Cerifera (Candelilla) Wax, Silica, Copernicia Cerifera Cera, Moringa Pterygosperma (Moringa) Seed Oil, Isopropyl Jojobate, Cera Alba (Beeswax), Ozokerite, Citrus Tangerina (Tangerine) Peel Oil, Tocopherol, Ascorbyl Palmitate. [+/- (May Contain) Mica, Iron Oxides (Ci 77489, Ci 77491, Ci 77492, Ci 77499), Red 30 Lake (Ci 73360), Red 6 Lake (Ci 15850)(Aka 201)].